Order in the next 1 hour 12 minutes for delivery on Thursday, April 25. 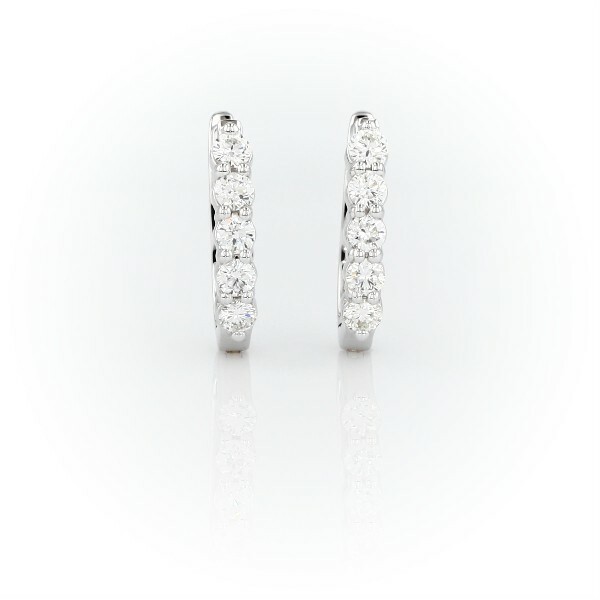 Perfect for everyday wear, these petite diamond hoop earrings in polished 18k white gold are a jewelry essential. Each earring sparkles with five shared prong-set round brilliant-cut diamonds, for a total diamond weight of 3/4 carats. The hoops close with latching, hinged backs for security.